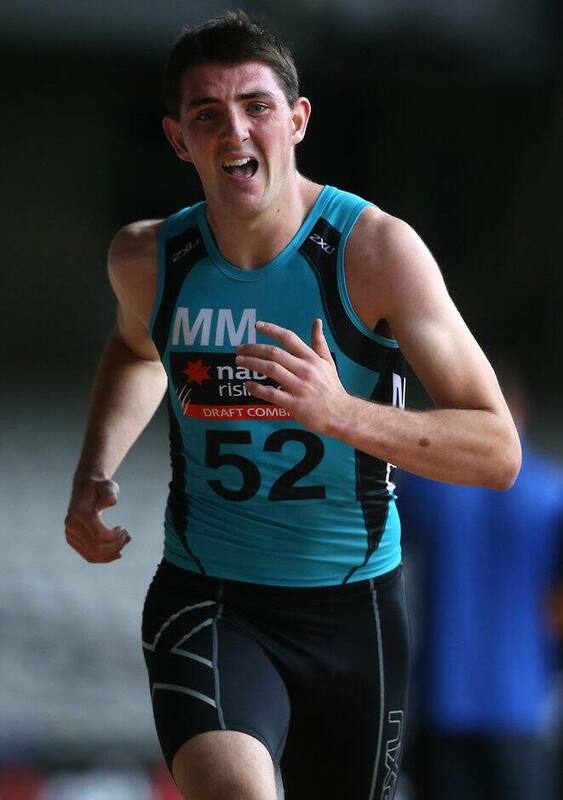 IRISH prospects Darragh Joyce and Colin O'Riordan have created plenty of interest at the NAB AFL Draft Combine, with O'Riordan earning himself an international rookie contract with the Sydney Swans on Saturday. O'Riordan has all the attributes to be a goalkicking midfielder like Pearce Hanley, and the Swans were quick to pounce after an extensive interview process. Swans recruiting manager Kinnear Beatson said the club was impressed straight away with the young Irishman. "Colin came to the club early this week for a trial and had a training session with members of our academy where he instantly impressed us," Beatson said. "What struck us the most was how well he kicked the footy – he’s clearly been doing a lot of work on that – and he genuinely looks like an AFL footballer. "He’s got great skills, takes the ball at the highest point when marking overhead, his work ethic and his competitiveness really shone out in the session he had with us. "We’re really excited Colin has decided to join the Swans and we know he’s got the attitude and drive to give himself the best possible chance to forge a long and successful career." O’Riordan, who is flying back to Ireland on Monday after the combine, said he could barely believe how quickly an AFL career was being thrust upon him. "It’s unreal, it’s a dream come true," he said. "I fell in love with Sydney instantly and from the moment I arrived at the club I felt at home as everyone was so welcoming. "It hasn’t sunk it yet but when I touch down in Ireland and see my family I’m sure it will." The 19-year-old was named Gaelic football's young player of the year in 2014 and has twice earned junior All Ireland honours. His compatriot Joyce is no stranger to AFL recruiters, with the 18-year-old a standout at the International Combine in Dublin last December. "I'm out here to do business and get a contract," Joyce told AFL.com.au. "I've had interviews with the Swans, St Kilda, Essendon, Brisbane and the Bulldogs, so there has been a bit of interest. "That's the whole reason I'm out here, because if a contract weren't on the cards I wouldn't be out here." The 193cm County Kilkenny product has a predominately Hurling background, but played Gaelic football at school. When the opportunity presented to pursue a professional career in Australia and escape Ireland's economic gloom, Joyce didn't think twice. "I've put college on hold to come out here and chase a dream," Joyce said. "My father works abroad in London as plasterer for the past four years because all the work has dried up in Ireland. "I've had the footy in my hands every day back at home, but once we got knocked out of the hurling with Kilkenny, I've practised even more so.